Today’s celebrity culture has become a modern religion and its roots can be found in the human tradition of hero worship. From ancient Egypt to the Roman Empire, gods and their trysts have enthralled the imagination of man. Heroes and the tales they’ve inspired have been the central theme of minstrels, historians, sculptors, and painters through the ages. And when the gods went out of fashion, there were royals and generals whose tales of victory lifted people out of the mundane and into spheres larger than life. “So long as man remains free,” Dostoyevsky wrote in The Brothers Karamazov, “he strives for nothing so incessantly and painfully as to find someone to worship.” In today’s society, we have become a culture that voraciously worships and devours the famous. In America a celebrity is built up, idolized, ripped down, and replaced with whip-lash quickness. Few survive the test of time, and those select individuals are considered icons. 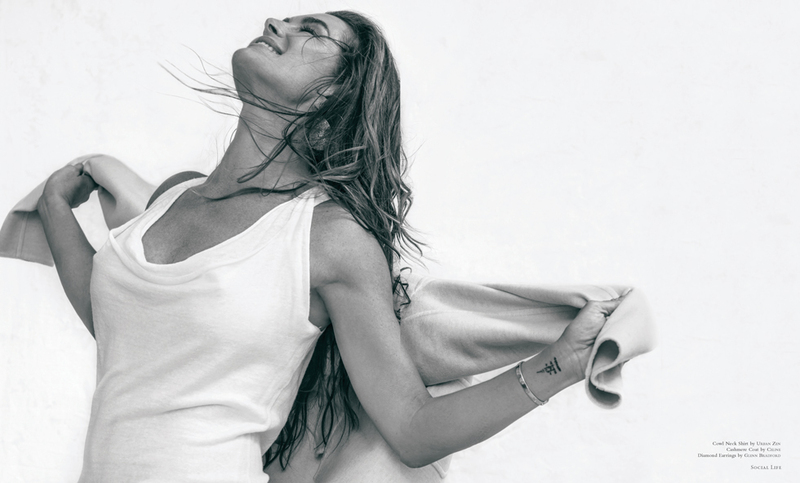 Brooke Shields is one of the few. Unlike Athena, Brooke was not born from Zeus’ forehead, fully grown and prepared for battle with a spear and an innate prowess. Brooke’s life has been a collection of intense bursts of fame that she has survived and built upon. Both the Calvin Klein jeans she wore in a much-discussed ad as well as controversial images of her as a child have been exhibited at the Whitney Museum of American Art, the Guggenheim Museum, and the Metropolitan Museum of Art. She wasn’t just the girl-next-door crush of the ’80s. Time magazine immortalized her face by branding it the look of the decade. Unlike tremendous moments that can be captured on film or commoditized on magazine covers and through the sales of products, a person is a dynamic and ever-shifting being. And so, I sat down with Brooke at Buvette on two separate occasions to discuss what it feels like to be a real person who happens to be famous, what projects excite her, and what she has learned and taken away from her journey up to this point. During the cover shoot, on a top floor of the Four Seasons Downtown, overlooking the Twin Towers Memorial, and the Statue of Liberty a speck in the distance, Brooke got back into her Calvins. It was a decision that happened organically on set, but the air crackled with excitement, and an assistant was sent to the nearest store that sells Calvin Klein underwear. The next time I see Brooke, she is wearing oversized sunglasses, a messy bun, and is incognito. We sat down at the back of the same French bistro to talk about Daisy Winters, an independent film that is close to her heart. It is a project unlike anything Brooke had worked on before. “I didn’t want to do it,” she confesses. Brooke told Beth LaMure, the writer-director, “There are plenty of other actresses. Serious actresses. You don’t want me. I’m funny.” The more Brooke insisted she wasn’t right for the part, the more convinced LaMure became that Brooke was the perfect fit. Eventually Brooke took the part. And what is there now? What is left after hit shows, iconic fashion campaigns, timeless movies, and personal experiences immortalized in controversial bestsellers? As we discuss favorite books, two flutes of Champagne arrive at our table. “Happy birthday drinks from two fans at the bar,” the waitress announces. We both look at each other surprised. Brooke had walked into the bistro incognito and rushed past the bar — how did anyone recognize her? Brooke, who is kind and warmhearted, immediately wonders what could be the proper protocol to thank a stranger. 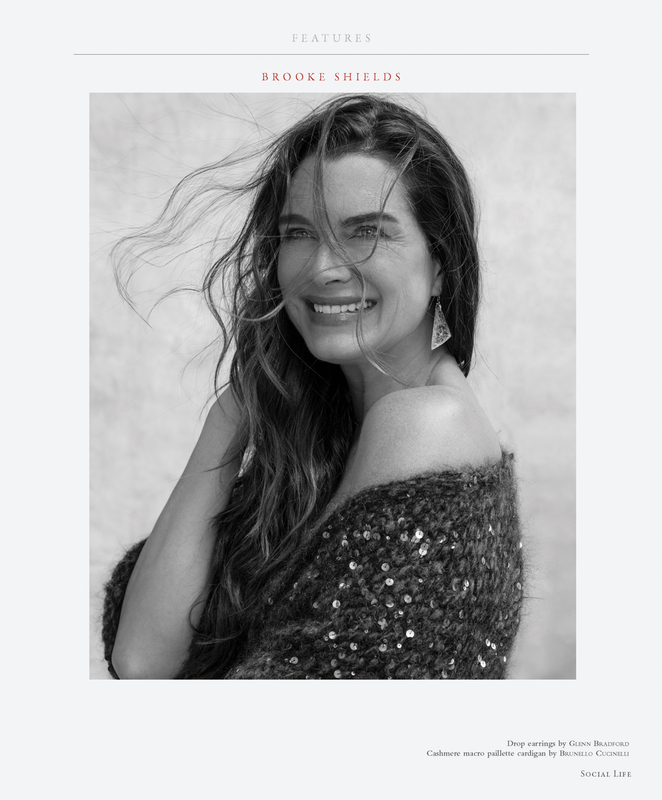 After a lifetime of having fans, Brooke Shields is still an authentic person who wants to repay kindness with kindness. Eventually, the two fans from the bar, students visiting New York from Korea, approach the table in order to chat with Brooke. Instead of talking about herself, she asks about them. After a brief conversation, the pair are happily on their way to explore the city. And I can’t help but notice who Brooke Shields really is. 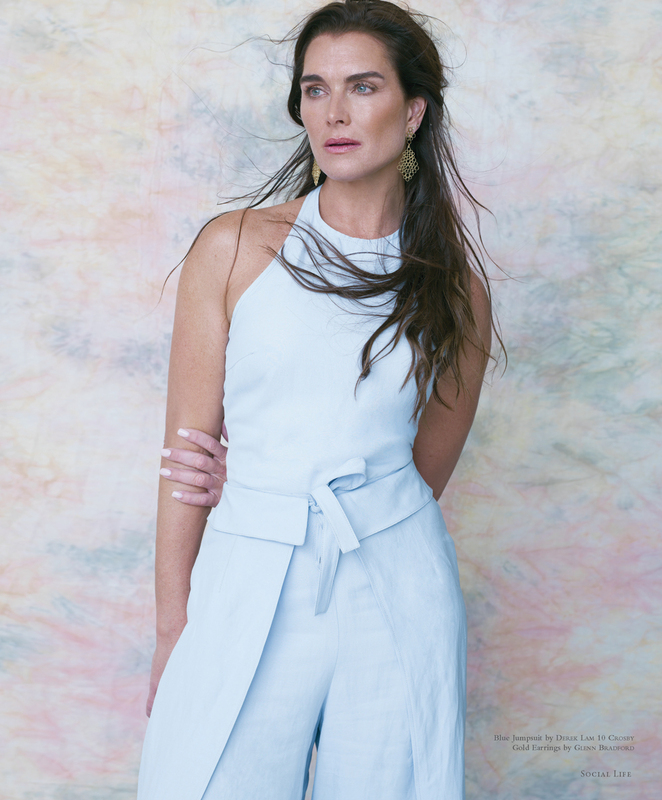 No matter how many images and movies the American celebrity machine has created of her, Brooke Shields remains simply, authentically, just herself, a real person … who just happens to be an American icon. 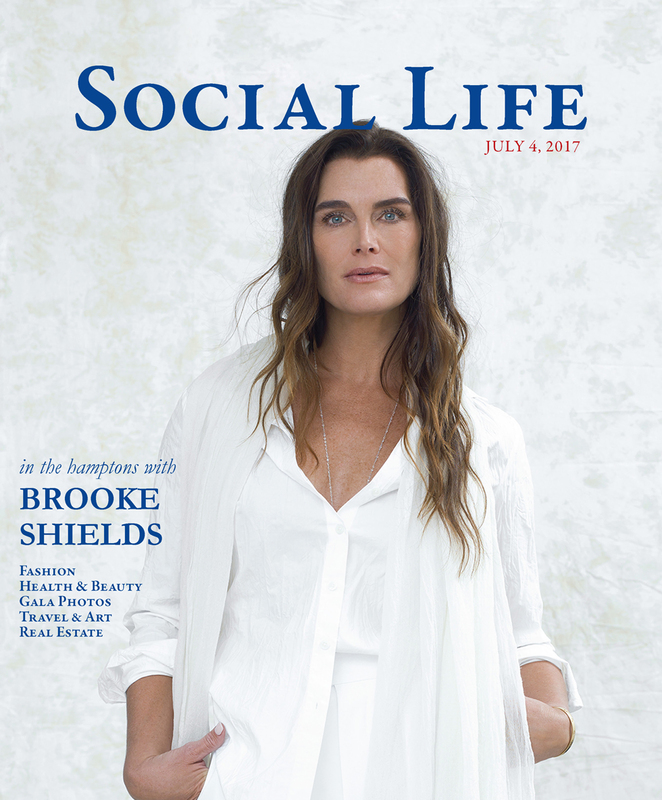 Read Social Life online here.